There are several instances when powder coating where multiple coats will be involved. Often times, it is a clear coat for added protection and appearance. Sometimes it is required, chrome powders need a clear to protect them from oxidizing. Candy colors need a chrome base to achieve the candy look. Also, multiple colors can be applied onto one part to achieve a two-tone look. This article will help you apply multiple coats of powder the correct way. Adding a top coat or second coat should not be much more difficult than the base coat or first coat, however adding a third, fourth, fifth coat will depend on the level of powder coating gun you are using. A cheap hobby powder coating gun like an Eastwood, Craftsman or Harbor Freight will struggle much more with multiple coats, specifically powder attraction, than a mid-level or a professional gun will. This is because the grounded metal part that you are spraying is now insulated by the first layer of powder, and each layer of powder after that becomes increasingly more difficult. Using a grounding rod to ground your parts will significantly aid this process but it can only do so much to help with the shortcomings of a hobby powder coating gun. Learn how to setup a grounding rod. Another way to overcome shooting multiple coats with a cheaper gun is one that I don't recommend unless you absolutely need to, and this is something that you should only do if you are shooting your own parts. This method involves shooting the part hot so that when the powder hits the part, it will slightly melt, causing it to stick. The issue with this method is that it is very easy to spray way too much powder on the part which can lead to an easily chipped part and possibly orange peel. When shooting the part hot, use the lowest temperature that allows the powder to stick to the part, generally 175 to 200 degrees F, and try to avoid spraying excess powder on the part as much as possible. A powder coating gun feature that aids shooting multiple coats is the ability to adjust the KV setting. A 2nd coat should always be sprayed with reduced KV, generally 50% less than the first coat. For example, if you shoot the first coat at 70 KV, you would then spray the following coats at 35 to 40 KV. It is best to play with the KV settings and find the sweet spot for the parts you are shooting. These adjustable KV settings are only found on the mid-level and professional powder coating guns. The process differs slightly depending on the powders you are using. When you are spraying multiple coats and a chrome powder is not involved, a partial cure between coats is the best method. The advantage of partial curing a powder before shooting the next coat is intercoat adhesion. This means that the two powders are crosslinked and bonded together as well as being bonded to the part. Failure to partially cure the first coat before spraying the second coat can cause the second coat to peel off. This is called delamination. If you think about it, when you are spraying your first coat over a sandblasted base, the powder has a very textured surface to grip onto. However, if you spray a second coat over a high-gloss base coat, the surface is very smooth and the powder has nothing to grab onto. Partial curing the powders between coats allows them to melt together preventing this from happening. Follow step 3a. below if a chrome powder IS NOT being used. When you are spraying multiple coats with a chrome type powder involved, you must always fully cure the chrome powder before spraying the next coat. It doesn't matter whether the next coat is a clear coat, candy coat, or anything else, the chrome must be fully cured in the oven before moving on. Unfortunately, this increases the chances of delamination occurring, but it is a risk that must be taken if you want the correct appearance when finished. A chrome powder that is not fully cured can appear to have a veiny cracked appearance when top coated as pictured on the right. Follow steps 3b. below if a chrome powder IS being used. 1. Prepare your part just as you usually would. How to prep for powder coating. 2. Spray the first coat of powder just as you usually would. How to properly spray powder coat. 3. Insert part in oven. If any masking was used, it is best to pull the part from the oven after the part reaches 200 degrees and remove any masking. Then insert the part back in the oven and complete the partial cure. Removing the masking at this time gives cleaner masking lines, read more about it here. 3a. Cure the part in the oven at the required temperature but for only 60% of the required cure time. For example, if the powder calls for a cure time of 10 minutes, only cure it for 6 minutes. It is very important that you only start your timer after the entire part itself has reached the required temp, confirm part temperature with an Infrared Thermometer. 3b. (Chrome powder only) Do a full cure of the chrome powder in the oven. I even allow the part 3 extra minutes in the oven just to be 100% that the chrome powder is fully cured. It is very important that you only start your timer after the entire part itself has reached the required temp, confirm part temperature with an Infrared Thermometer. 4. Using clean gloves, remove part from oven and allow it to cool to room temperature. Reapply masking if necessary. Any handling of the part with bare hands can cause issues in the following coat. If you use air to blow off the part at this time, it can cause a static charge that causes the second coat to adhere in odd patterns. If air must be used to blow off the part, or if you wipe the part down, you can dissipate this static charge by heating up the part in the oven for a couple of minutes at 150 degrees F. I try to avoid any need to blow off or wipe the part in between coats. 5. Before spraying the second coat, make sure that your ground connection is still attached to bare metal. If your part is grounded through a hook, use a file to remove a tiny area of powder where hook makes contact so that the ground is still touching bare metal. 6. Reduce the KV on your powder coating gun by about 50% if possible and spray the second coat. 7. If the second coat is the final coat of powder you will be applying to the part, then it is time to put it in the oven and do a full-cure following the second powders curing instructions. Again, remove any masking after the part reaches 200 degrees for best results. If you plan to spray additional coats, do another partial cure and repeat steps 4 through 7 until you reach your final coat and then do a full cure following instructions for the last powder applied. If you are shooting a two-tone part with multiple colors, the instructions above also apply. The only difference is how you apply the masking. The order in which you shoot the colors really depends on how easy it is to mask one area as opposed to the other. Raised areas are much easier to mask off than recessed areas. The only definitive rule to keep in mind is that red should always be shot last if possible as it tends to bleed through lighter colors, especially white. I will show some examples and how they would be most easily powder coated. It is very important to practice your masking skills. I recommend reading Masking and Masking Part II for some tips. For the wheels pictured below, the easiest method to coat these would be to shoot the entire wheel in the metallic silver color and do a partial cure. Then mask off the lip, face of the spokes, barrel, and backside of the wheel. Then you would shoot the unmasked areas red. For best results, do another partial cure, and then clear coat the entire wheel. The clear coat helps to smooth any transition lines. When doing two-tones, it is very important to remove any masking well before the full cure is complete, otherwise the edges transition between the two colors will not be a nice, clean, straight line. To do the two tone valve cover below, the easiest method would be to spray the entire valve cover in the gold vein powder coat and do a partial cure. Then spray the entire valve cover in the metallic red and carefully wipe the metallic red from the letters using a damp finger. 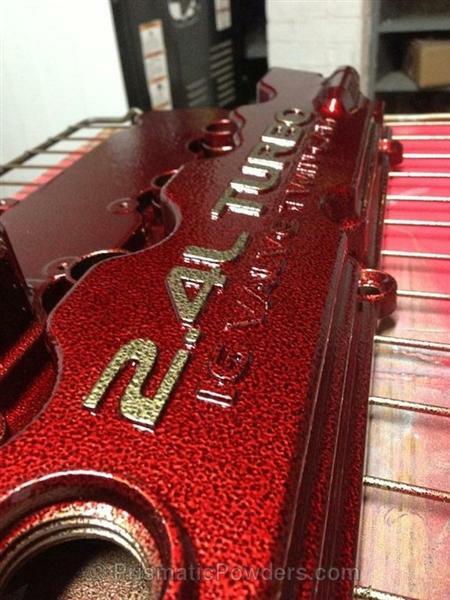 Then do a partial cure on the metallic red, shoot the entire valve cover with clear and do a full cure. 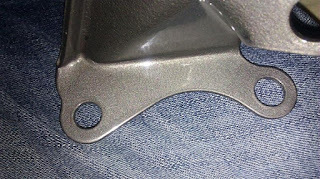 To powder coat logos as pictured on the Brembo brake caliper below, a vinyl stencil can be used. You would first shoot the entire caliper silver and do a partial cure. Then apply the Brembo vinyl logo and shoot the entire caliper in red, carefully removing the vinyl logo once the powder is partially cured. Then shoot a coat of clear and do a full cure. If you would like a custom logo or design that would be too difficult to mask free-hand, a custom vinyl stencil is the best way. For more common logos like the Brembo logo above, they can often be ordered online. However, if you want your own custom logos, you can search for a local sign cutting shop and have them cut it out for you. Alternatively, if you are doing lots of custom designs, you can cut out your own stencils using a Vinyl Cutter. These machines will cut out your custom design on a vinyl sheets that you can use as a mask for powder coating. There are lots of different vinyl cutters available depending on how big or small your work is. For smaller work such as coating tumblers, a smaller Cricut Explore/ Cricut Maker or Silhouette Cameo would serve you better. These smaller vinyl cutters are frequently used when coating stainless steel tumblers like YETI Cups. 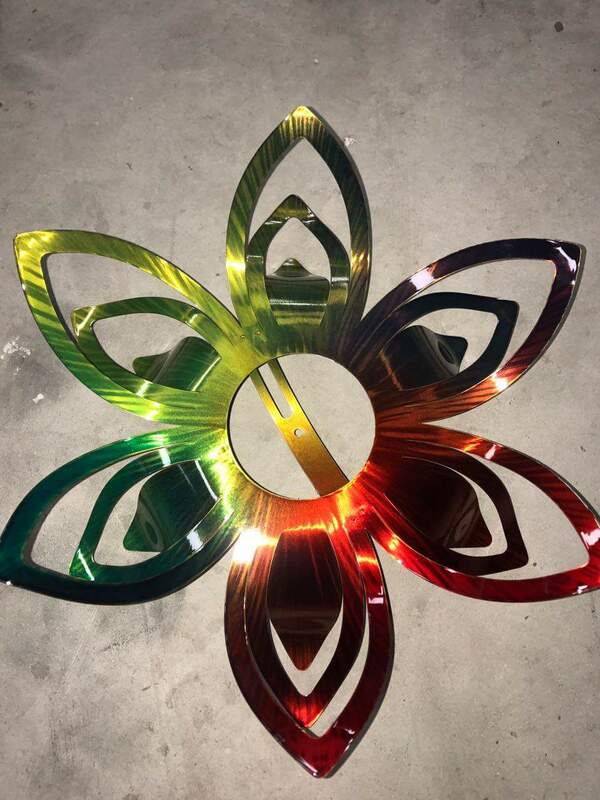 Common types of vinyl used for powder coating are Oracal 631 and Oracal 651. 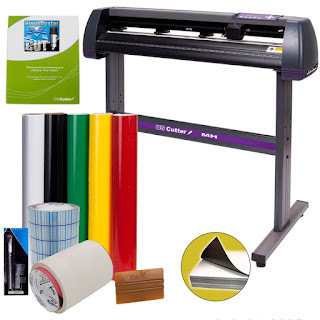 They both come in either rolls or sheets, just make sure that when you purchase vinyl, that it is the correct size for your specific vinyl cutter. Oracal 631 is ideal for temporary vinyl masking as it is easier to remove. This can withstand partial cure tempts of 300 degrees F for 2-3 minutes or 400 degrees F for 1 minute. After doing the partial cure, and pulling the part from the oven, let the part cool down for 30 to 45 seconds and the vinyl should remove cleanly. However, if you find you cured the vinyl too long and it is leaving residue behind, it can usually be removed using Naphtha without affecting the powder. Once the vinyl mask has been removed, you can then fully cure the part, or continue the partial cure for a couple more minutes, clear the part, and then full cure. Oracle 651 is better if you want to cut out a permanent vinyl logo that stays and it can be powder coated over. It can turn yellow or brown if it reaches too high of a temperature in the oven. Lower temperature powders are best for this, or you can use a standard powder and cure it at 325 degrees F for 25 minutes. 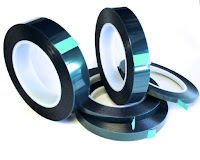 A vinyl cutter can also make short work of masking gasket and mating areas on parts. Just put the gasket surface face down on a scanner and cut out the design on the cutter and you have a perfectly cut out vinyl mask. You can also fade one powder coating color into another. This can be done two different ways. The easiest way is to simply spray the first color right up to the point you your fade to start. Then without curing, change the color in your gun and shoot the other color on the opposite side up to the transition line and then lightly spray onto the other color however far you want the fade to go. When doing it this way, the two powders must be of the same chemistry. Meaning TGIC with TGIC, Acrylic with Acrylic, and Epoxy with Epoxy. If you are using powders of different chemistries, the entire part should be sprayed in the first color, then do a partial cure in the oven and add the second color up until the point where you want the fade and then cure. Clear can be applied using each method and it will help the appearance of the fade. Following this information and with a little bit of practice, you should be able to apply multiple coats of powder in any configuration you can think of. Hi. I know there is no such thing as a dumb question in the quest for knowledge, but this may come close. You mention using vinyl stencils for logos. Are these reusable or if I need to create a logo 1000 times, do I need 1000 stencils? In your experience, is it possible to create a stencil for wording as small as 1/2 inch tall by 1 and 1/2 inch long that will be readable? Trying to troubleshoot for a solution... Thanks! No such thing as a dumb question... just lots of inquisitive idiots. Yes, you do need to cut and "weed" a new stencil each time. Weeding lettering can be time consuming, so, the simpler the text, the better. Plotters can cut small detail, and 1/2" lettering should be readable. I have been reading your website and have found it very helpful. I am considering getting into powder coating. The question that has not been answered is how does the part not get affected by the hook that it is hung by? Doesn't it leave a bare spot? Yes is leaves a bare spot. Some people will leave it bare or you can touch it up with paint or fingernail polish. It usually leaves a very tiny bare spot. Because of this, I usually try to hang it from an area that is masked off such as a bolt hole or something similar. That way, the hook is hanging in a spot that would have been bare anyways. However, this is not always possible. It is common to use Testors model paint to touch up the bare spots though. That is a really cool process that goes behind powder coating metal objects. I know this is super convenient for manufacturing companies to outsource because there is too much work that goes behind it. I currently was working on painting my car a different color and was curious of different techniques I can use. 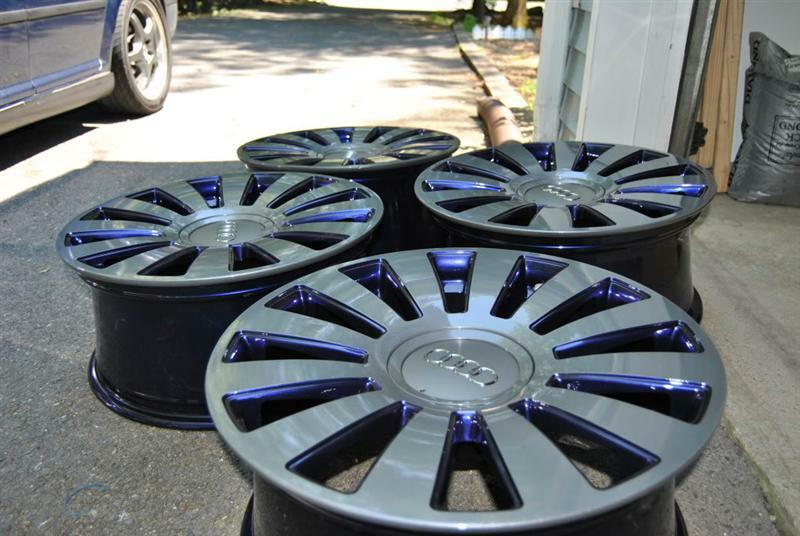 Does powder coating look good on a car as the finished paint job? I just sprayed my first coat of red and noticed after that there are a lot of mistakes on the part. How should I prep the part for another coat? Sand it down, how much, which grit and the use acetone or what? Thank you very much in advance. The best way to do it is to strip the part and start over again. If this were a part you were doing for a customer, this is the only acceptable way to do it. If you don't have the equipment to easily strip the part then you can attempt to sand down the imperfections and start over. The grit depends on what you are trying to accomplish. IF you sprayed the part too heavy and it has runs or sags or anything like that, you can knock down these areas with 220grit paper on a flat block if possible. If you are just wanting to sand the entire part to provide adhesion for a new coat of powder, then 400 will do the job fine. Again, use a flat block where possible. Once you are done, blow the part off with air and wipe down with denatured alcohol. Whenever you blow off an already powdercoated part with air, you will induce a static charge to the part. If you were to powder coat right after, you would probably see that the newly applied powder does not attract evenly. You must dissipate this static charge either with time (several hours) or stick it in the oven for 10 to 15 minutes at 180 degrees F. This will also ensure that the part is completely dry. Let the part cool down to room temperature and you can then respray the part. Can't remember on wich site I read it, but they mentionned to shoot the clear right when it comes out the oven and you suggest to let the part cool down befor applying second coat. Is there a reason ? Can it be the reason of my problem ? With dormant colors like this one, the color is affected by how much clear you are applying. Shooting the part straight out of the oven while it is at 400 degrees will likely result in there being way too much clear on the part and therefore coming out purple still. The purple color is a result of there being too much clear on the part. I would recommend only shooting the clear cold and shooting the lightest possible coat you can while still achieving full coverage. If you go too light, the clear will look grainy because there is not enough powder on the part to flow out. Shoot some test panels to get the hang of it. The reason why you should avoid shooting the part while it is hot is because the powder melts immediately on contact. It is very hard to gauge how much powder is on the part when because of this and often results in way too much powder being on the part. This affects appearance and durability. In general, the thicker a single coat of powder is, the more easily it will chip. Great, I'll give it a try ! Thanks ! I still dont get how the clear will "change the purple" to red. Isnt it like a fusion of chemical of both coat thag give the final color ? So it means the base coat will have to melt again with the clear coat on the seccond cure if I let the part cool down ? The dormant base coat must be fully cured before applying the clear so they are not actually crosslinking (melting) together. Once the base coat is cured, it does not re-melt, the clear coat simply cures on top of it. However, for it to be a full cure, you must let it cool down completely after the initial bake in the oven. I believe instead of a chemical reaction taking place, it is actually a type of powder that is meant to optically bleed through the top coat. In other words, no matter what type of powder you put on top of it, you will still be able to see the dormant through it. Even if you use a completely non-transparent black powder as a top coat, you will see the dormant through it. It was just designed to appear a certain way when shot with a clear top coat. Great ! Thanks for the nice explantation ! I've been playing with dormant purple. I didn't know that a clear coat on top of the dormant purple was necessary. So, after baking, I was disappointed that no purple was showing! I figure I messed up the shooting, so took it back to the sand blaster and to my surprise, every swipe with the gun resulted in a streak of purple! I took this further. Without putting the clear cost on, I etched a design with a CNC laser cutter. Behold, the design was in purple! I've done Cerakote for awhile but I'm new to powder coating.....less than a week in. HaHa . I have read a few comments about partial cures and then adding a second coat -- how would i go about using heat resistant stenciling? Is the first coat dry enough to place the sticky decal stencil on it?? I have been meaning to give Cerakote a try. I have some exhaust manifolds and turbo housings that could use a refreshing. If you are using any decals or stencils, it would be best to do a full cure in between coats. Hi Sean. I am just starting out and this site has been a huge help. My question is about powder coating in an emblem. From what I understand I would powder coat the entire project and do a partial cure then put the sticker on and powder coat the project a different color. Then put it back in the oven until the project reaches 200 degrees then pull the sticker off and continue a full cure. Am I understanding correctly or is there a better way to do it? Also does any sticker work or does it have to be a certain material? Thank you for you time and I look forward to hearing from you. I am pretty new to powder coating. Your site is very well organized and very detailed. I am learning as I go, but you definitely answered all of my questions and clarified a lot of things for me, speeding up my learning process. I'm currently powder coating my motorcycle engine block dealing with lots of Faraday areas and porous cast iron. I didn't know about the outgassing step. Now I know! Also was doing the complete opposite for faraday areas, I was doing higher KV and PSI. Didn't work . Thanks for all the tips Sean! I might have some more questions for you soon. 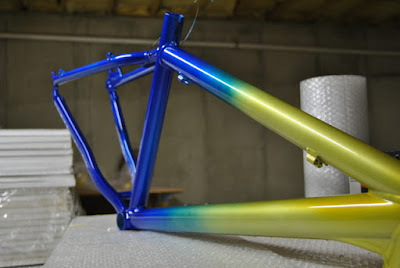 Usually I only do one powder coating but now that I know you can fade two different colors into each other I want to do that. I'm thinking it would be cool to fade from blue into red. This is going to make my bike paint job so much cooler now, thanks. My question is I'm powder coating a gas tank for a motorcycle, flat black is the base and it is going to have gloss flames, after taping it off and cutting out my flames , what is a good procedure for cleaning off the part that is gonna be gloss, it should probably be cleaned prior to powder coating second coat . If I am doing multi-coats, I like to keep the part completely clean between coats. After it leaves the oven, I only handle it with gloves and I clean all of my masking tools (scalpel, scissors, etc.). This is an easy way to avoid any issues from cleaning the part. However, sometimes cleaning is necessary, and the best thing to clean the part with is denatured alcohol. This is usually sold at home improvement stores in the cleaning section. After cleaning with denatured alcohol, I stick the part back in the oven at 150 degrees F for about 5 minutes to ensure that the alcohol is completely dried and to neutralize any static electricity that may have been induced by cleaning or blowing off the part. Then I let it cool and it is ready for the next coat. Thank you very much for the info .. The reason for asking is its a flat back base , I cured it , taped off and than cut out my flame design being very careful, but the tape for the design that I removed for flames would probably leave some type of residue on tank , I took great care when using the powder coat tape, which is my first time using but works very well and is actually pretty easy to use . Originally I was just gonna use some light soap and water than rinse with plain water , dry off place in oven for couple minutes , remove than powder than cute . Was just making sure the denatured alcohol will not bother the base coat powder .. I'm super new to powder coating and this site has helped tremendously. 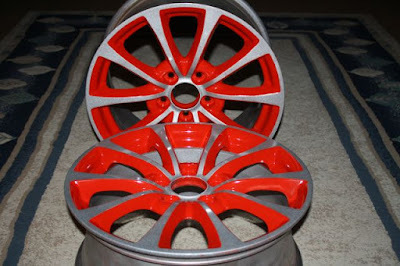 I am planning on powder coating some brembo brakes for my car, and have chosen a base coat and a translucent top coat. My friend has the powder coating gun and oven, and isn't new to it, but has never dealt with two coats. His gun does not have adjustable KV's, and as I've read you do not recommend applying the second coat hot if you're a novice. Is there any other ways around this that i'll still be able to apply my base coat and translucent coat? Thanks, I'm glad the info was helpful. As for powder coating the calipers, the best advice I can give is just to follow the info from this article. Shoot the first coat, bake them (if first coat is a chrome type powder, do a full cure, if not do a partial cure), let them cool, for best results, remove all masking and re-mask, ensure the ground has a path to bare metal still and then shoot them with the top coat and do a full cure. Luckily most calipers are pretty smooth and don't have too many recesses so you shouldn't run into to many faraday cage areas. I have shot plenty of multi-coats with a non adjustable KV gun and it is definitely do-able. Make sure to keep the calipers completely clean and untouched by bare fingers between coats. Let me know if you have any more questions before you start. I'm planning on shooting the base coat with prismatic powders roman gold, with the transparent copper top coat. I have new black brembo decals that I wanted to put on in between coats. Do you think they will be look right/be visible through the transparent copper top coat? It's hard to say without ever having used that powder myself. The decal will definitely be visible through the transparent copper but I don't know that it will be pure black. You can do a test on some scrap metal using the roman gold, any kind of black decal and top coat it with the transparent copper. If that doesn't work out the way you want it, you'll save yourself a bunch of work with the calipers and instead, you can place the decal on top of the transparent copper and then do a coat of clear. If it comes to a third coat (the clear), you will be fighting with powder attraction to the part using a hobby level gun. This is a circumstance where it would be necessary to heat up the part a little bit. Nothing too hot, but 125-150 degrees should be adequate. I sort of thought it wouldn't show up solid black, and I kind of like that idea, but I think i'll try what you've suggested before actually shooting the calipers. So I just spoke with Prismatic Powders about attempting to powder coat the calipers using a non KV adjustable gun (craftsman). Their representative doesn't think that the second coat will adhere to the caliper after the first coat is applied. He said the only way he thinks I can get around this is to shoot the parts hot (which neither my friend or I have experience doing). I was planning on using the mounting bolts as my ground source for each pass, as I figured this would be the strongest direct connection to a bare surface of each caliper. I wanted to grab your thoughts, and see if you think i'm in over my head here, or if this might be something doable with some time/patients? I have done lots of 2nd coats with the Craftsman gun and a grounding rod. It isn't the fastest or easiest thing in the world, but it is doable. I also prefer to ground to a bolt when possible. It has the benefit of leaving no hook marks and no matter how many coats you do, it is still grounded to clean bare metal. The only time I have ever needed to heat up a part with the Craftsman gun is when coating items that had some serious faraday cage areas (2 inch+ recesses in the part). After you get your first coat on, just start out with coating the most recessed areas first. Just remember that the trigger for the Craftsman gun is not an On/off switch, it is pressure sensative. The less you press it, the less air pressure it puts out and sometimes the less pressure allows you to coat the faraday areas easier. IF I am having trouble coating an area, I maintain at least 6 inch distance from the gun to the part, press the trigger about halfway and just hold it aimed at the area where the powder is not sticking and it will slowly fill in. After I'm finished, I go over the whole part with a LED flashlight to look for light spots. Following this advice, you should be good to go. Thanks so much for the tips Sean. I'll give it a try and let you know how it goes! Hey, we sprayed a chrome base and let the chrome fully cure... Then we tried to do another coat of a diff color on top of the chrome a day later and the powder wouldn't stay covered in a few spots, it would fish eye or leave a small crater about 2mm circle in small areas here and there... Do you know what could be the reason for this? I too am having this trouble can anyone give us some pointers on this? Thanks for the website it has helped me a ton! I've read that the harbor freight gun can't do 2 coats of powder. Is this the case? I'm looking into getting one but want to be able to do 2 coats at the most. Mostly just clear coats. Or would I be better off with the eastwood dual voltage gun? I just shot two coats on some motorcycle parts (brake/clutch levers and clutch assembly cover) a couple of days ago using a Harbor Freight gun. I used Prismatic Powders Super Chrome for a base, full cure. Then pulled the parts out and let them cool to 150F. Then shot with Anodized Brass. The parts came out beautiful with no blemishes. I will shoot a clear coat on the clutch assembly cover tomorrow after heating it to 150F...wish me luck! It's good to know how to apply multiple coatings in different colors on the same item. Applying the masking differently in this case seems like a good principle to apply protective coating correctly. Since raised areas are easier to mask off than recessed areas, I'll take your advice by making sure to apply colors that bleed through lighter colors last. Does candy coat normally scratch easily? or does it need a clear coat? Candy colors are usually every bit as durable as solid colors. Candy colors do not need a clear. Candy colors are generally clear coats already, they are just tinted a certain color. Wow, great jobs. This is exactly what I need for my bike. Multible coat is always the best. Thanks! If I'm adding a stencil after applying the base coat, do I powder coat the entire project and do a partial cure then put the sticker on and powder coat the project a different color. Then put it back in the oven until the project reaches 200 degrees then pull the sticker off and continue a full cure? Also is it necessary to clean the gun between coats if using different colors? Yes what you asked is the correct way to do it. Pulling the part at 200 degrees F and pulling the masking off when the part cools down to around 180 degrees F will leave a nice defined line between the masked and unmasked areas. You then have the option of doing another partial cure and clearing the whole project or just completing a full cure. If you have never done this before, it helps to get some practice on some scrap metal before doing this on a real project. And yes, you need to clean out the gun between every color change. 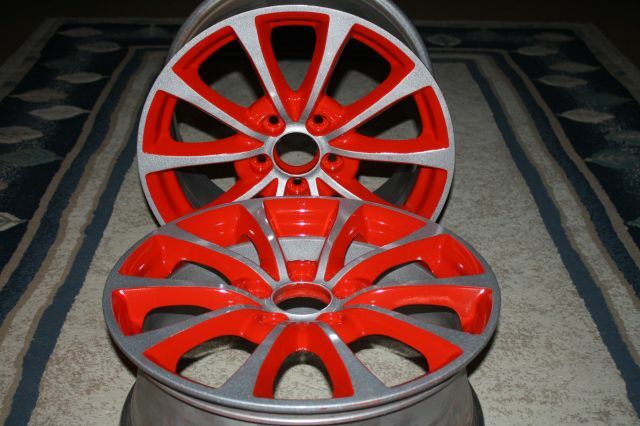 can you give me advise powder coating , Can powder coat over a item that is already is powder coat. I would only powder coat something if another coat was required to achieve a certain look and only if the part was originally powder coated by me very recently. If you have something that was powder coated awhile ago, it is best to strip it back to bare metal and repeat the powder coating process again. First, I want to say Thanks! for the site. As a newbie to powder coating there is a ton of great information. 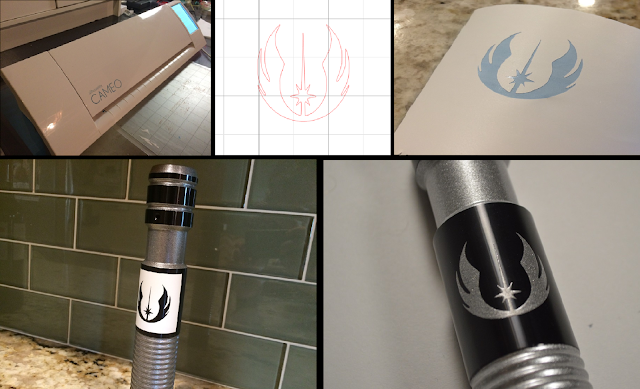 I know my options are either a (high temp)decal/sticker OR using a stencil. I prefer and am considering using a stencil to spray the logo (with high heat PAINT) over the base (red) powder, then clear powder over that. Do you see any issues doing it in this manner and/or would I simply be better going with a decal? I'm new to this, so any and all thoughts/suggestions are welcome. Having an issue with clear coating.. It is coming out almost looking milky and not adhering in some spots. Should I do half kv for clear coat? And not full time for the first coat? Dear #Sean.. i need ur assistance. I want to know that how many layers of nylon poder coat should spread on stainless steel so that the steel withstand voltage upto KV. These pictures look amazing! Great work. Hello -- I am running into a problem when using a female stencil. Lets say i want a red logo on a white background. I would use red last since the red would probably bleed through the white if applied first. So i lay down white then use female stencil for the red logo. Problem i am running into is the outer border of the stencil seems to 'melt' into the white so i end up having a red logo but the white has a box looking indention from where the stencil was left on during a partial cure. I hope that makes sense? Any suggestions? Any suggestions on how to achieve a matte brushed black aluminum look like this? This process won't look exactly like that, but it will be in the same ballpark. If you are starting with a shiny metal substrate, the effect will be better. If not, you will want to do a chrome/silver base coat and cure. Then you will shoot your matte black. Before curing the matte black, you can use a paintbrush to put streaks in the matte black powder. Getting consistently straight strokes will be the most difficult part. But with enough trial and error, you should be able to pull it off. AND then I spray a top coat of Red ( Candy Red from "The Powder Store" which is to be cured @400f for 10 mins. I am also doing a Nitro bottle too. But it is a lot thicker. So I know its going to take a lot longer to heat up. But it should be the same process too.